Yuzu has three times more vitamin C than a lemon. Yuzu is a member of the citrus family found exclusively in Japan where it’s been used for thousands of years for it mental and physical clarity and relaxation. 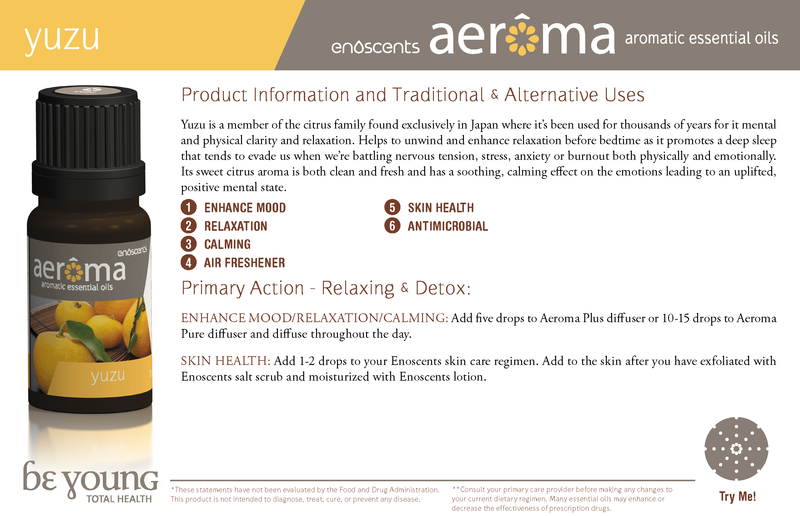 Helps to unwind and enhance relaxation before bedtime as it promotes a deep sleep that tends to evade us when we’re battling nervous tension, stress, anxiety or burnout both physically and emotionally. Its sweet citrus aroma is both clean and fresh and has a soothing, calming effect on the emotions leading to an uplifted, positive mental state.